Recently I was in LA, for the Bulletproof Biohacking Conference. Some of the world's top biohackers all in one place. And together with the Bulletproof UK crew, we organised a pre-conference Zestology podcast party, where I got to ask some of the world's best how to hack their energy, vitality and motivation levels. There are loads of great biohacks on the podcast, all available here now. Or scroll down for pics and more. The weekend was a chance to try out some interesting, unusual, and downright crazy hacks for energy. *This may be the best bit of today's podcast. If you drink alcohol, listening to this podcast may change your hangovers forever. Oh just a little blood test with one of the best testing companies in the world - Quicksilver Scientific. This one was for mercury levels. Shortly after this picture was taken, I had a large chunk of hair taken out of the back of my head for the same test. All in the name of biohacking eh? 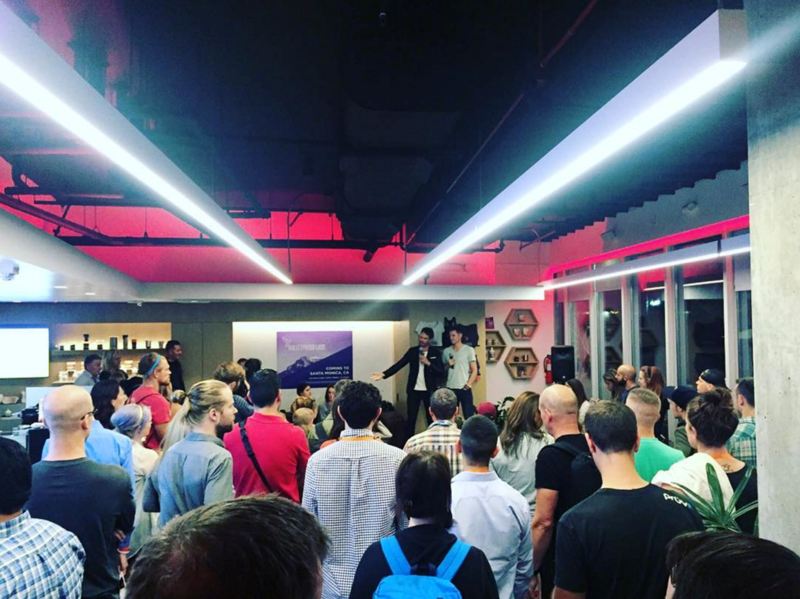 Pic of our event at the Bulletproof Coffee Shop in the Arts District, Los Angeles. In the absence of a stage, we stood on Whole Body Vibration Plates instead. Surely the first time they've been used to record a podcast on.